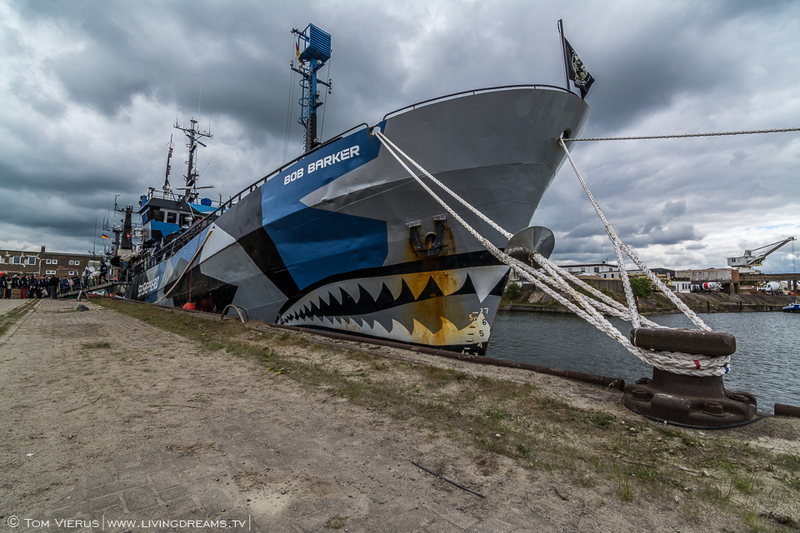 When I heard the MV Bob Barker as well as the MV Sam Simon, two of the four larger Sea Shepherd vessels are coming to Bremen I knew I had to go there. I´ve been following their actions for a few years now and strongly support their work in conservation, activism and awareness spreading and hope to be an active part of one of their campaigns in the future. 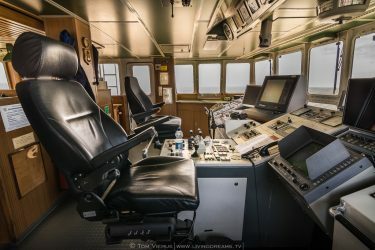 During their stay here in Bremen they offered a guided Ship tour on the MV Bob Barker, a 52,24m long vessel which has been part of their fleet since 2010. It can reach 18kn and is able to carry 540 tons of fuel making it ideal for operations requiring lots of time at sea. 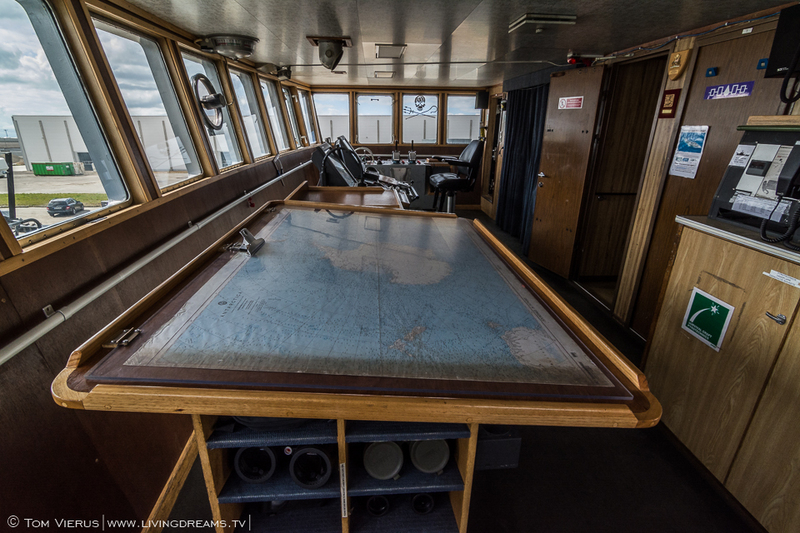 I is registered under the Dutch flag whereas the MV Sam Simon is registered in Melbourne, Australia. 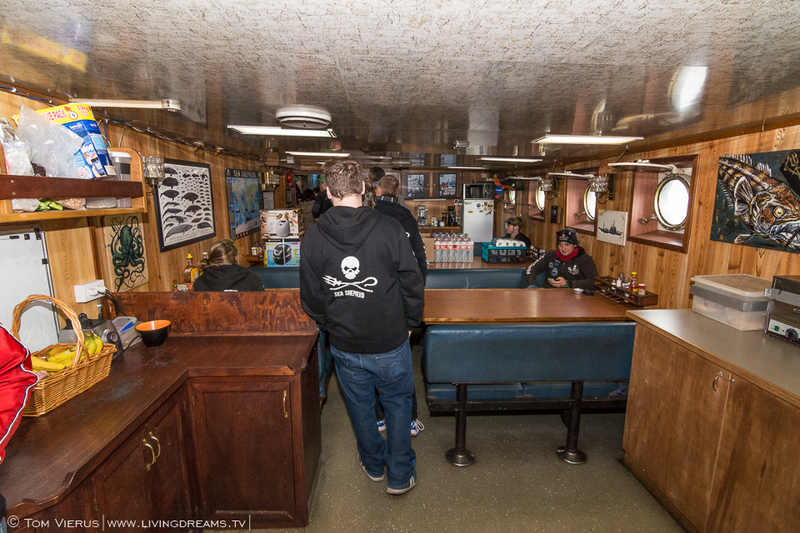 I was very excited and happy to be able to visit the Bob Barker and to see part of the crew up-personal! Very impressive day! 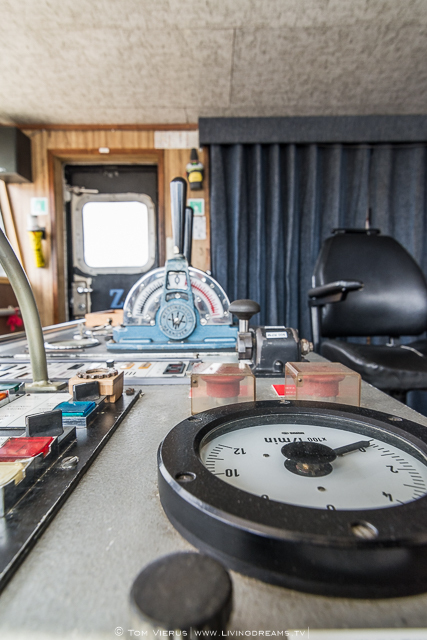 The front view of the MV Bob Barker. 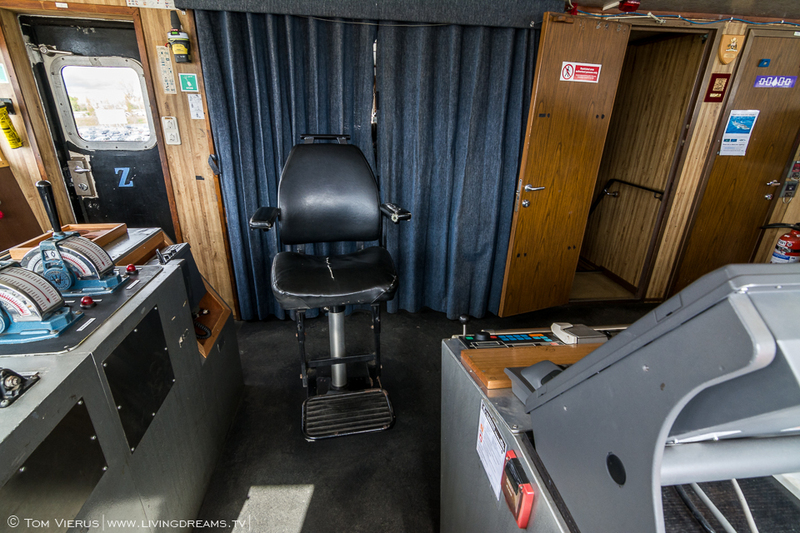 It is slightly shorter than the MY Sam Simon with a length of 52.2 m but can carry an enormous amount of 540 m³ of fuel. The stern of the MV Bob Barker with the added landing helicopter deck. 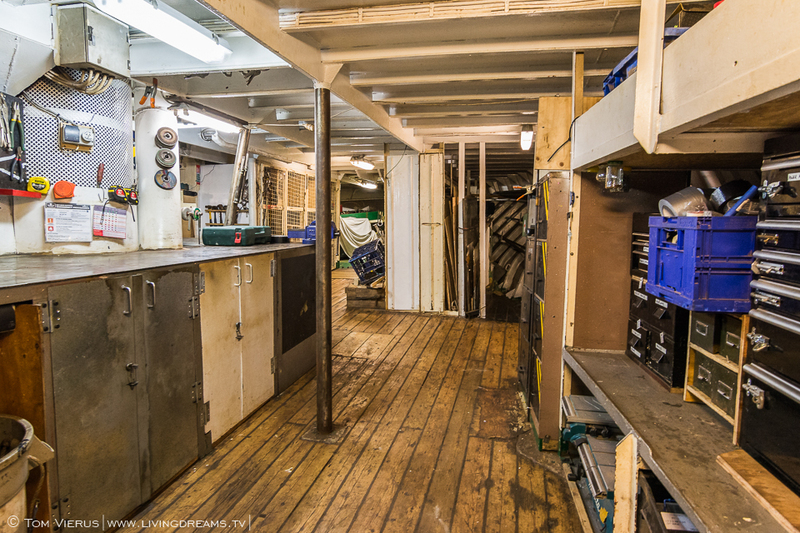 The MV Sam Simon from the front. 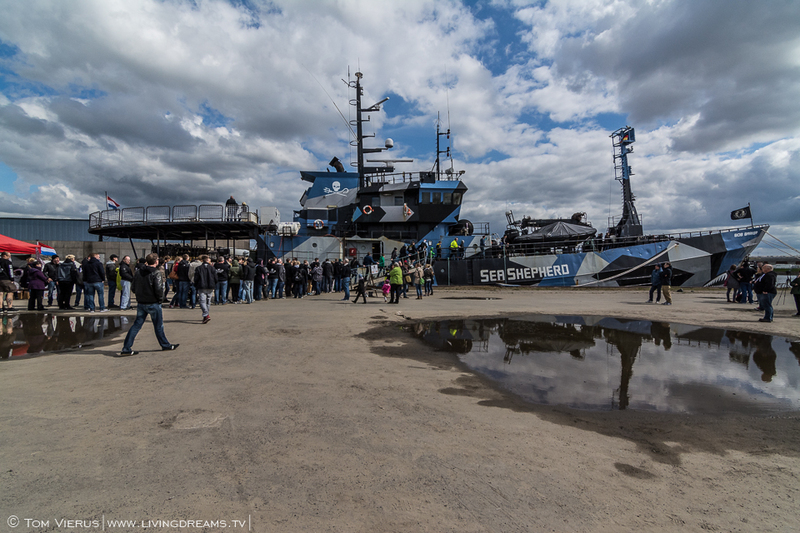 With its 56m in length it is a very impressive vessel and the youngest in Sea Shepherd´s fleet. Sea Shepherd was founded in 1977 by Captain Paul Watson and today several thousand activists are fighting for the enforcement of marine law at several locations all around the world.It is a global Conservation Society based in Friday Harbor on San Juan Island, Washington (USA) aiming in protecting and conserving the diversity in our oceans and enforcing international laws where others do not dare or are not capable of doing so. 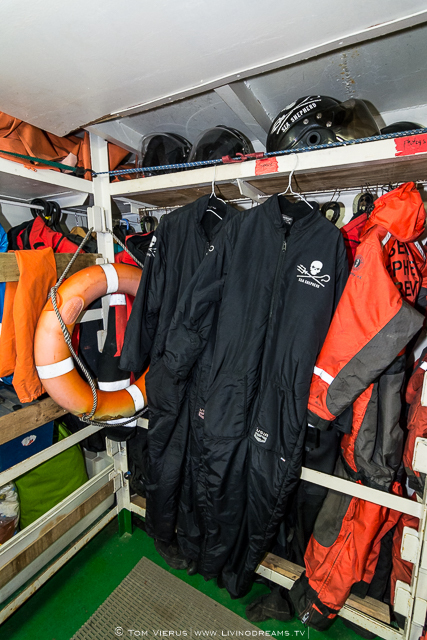 The Sea Shepherd Conservation Society is a non-profit organization and funds itself thoroughly with donations. 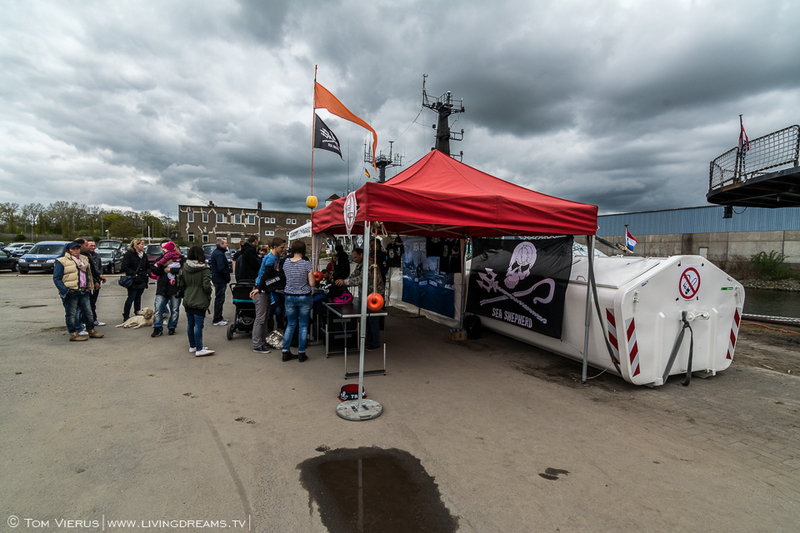 During the years of campaigns Sea Shepherd has celebrated numerous successes and also sunk several whaling boats. 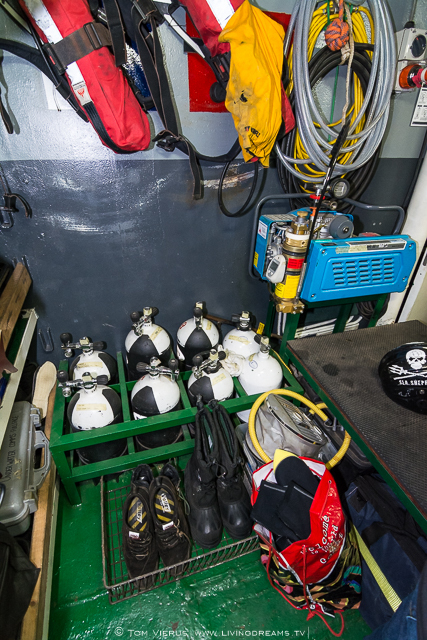 Though they do damage fishing gear (which is used for illegal fishing purposes) not a single human has ever been injured during their operations. 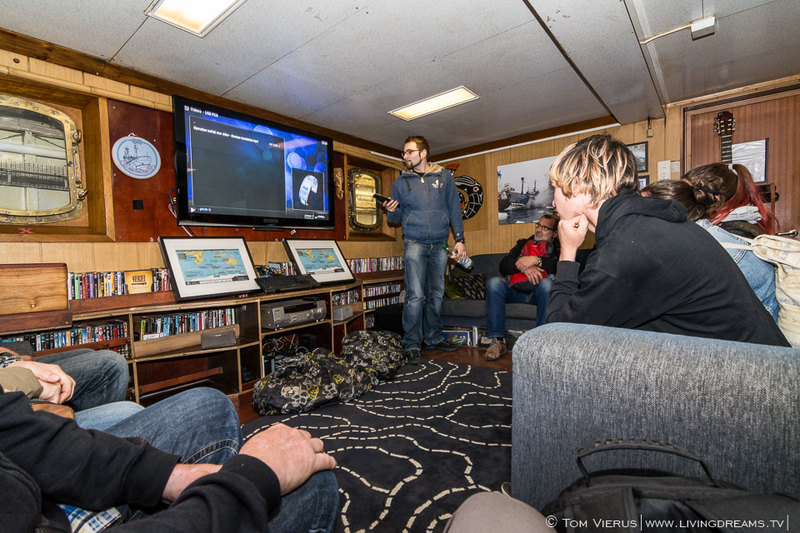 In contrast, thousand of lives have been saved by the eager and courageous volunteer work of Sea Shepherd members. Both ships are currently in the industry harbor of Bremen-Gröpelingen and an “open ship” was announced for Friday, Saturday and Sunday. 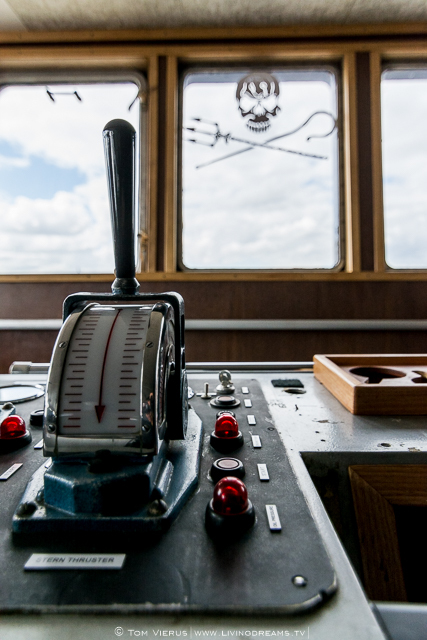 At least 200 supporters had come and were eager to visit the MV Bob Barker and get a tour aboard this historic vessel. Captain Peter Hammarstedt as well as Captain Siddharth Chakravarty were present and took their time to take photos with their supporters. 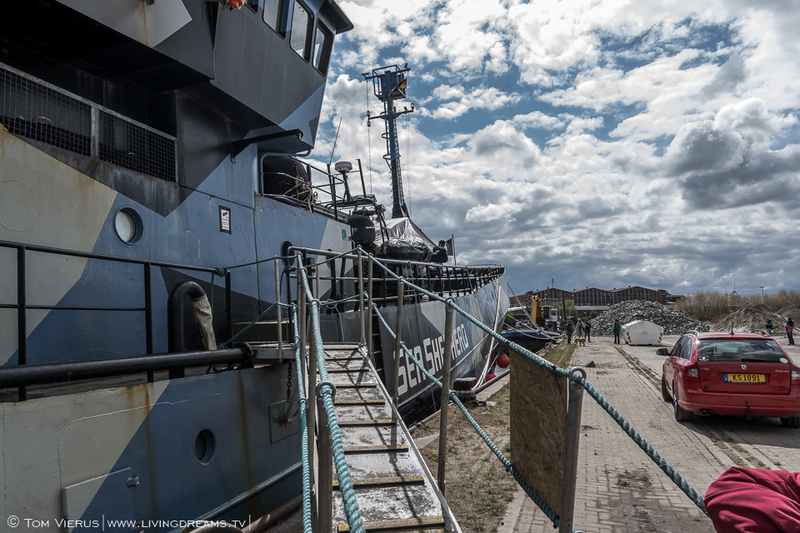 Both ships will stay in Bremen for around six weeks to prepare for the next operation! All the best from my side! 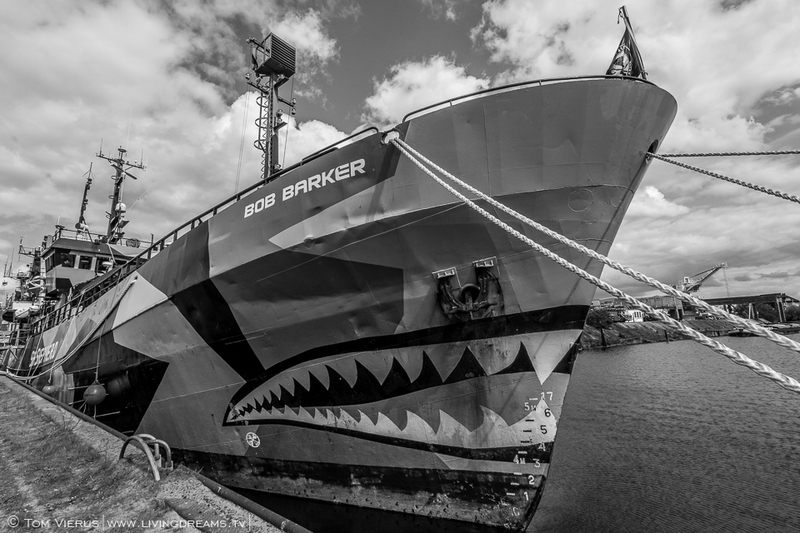 The MV Bob Barker was built in 1950 and is 52.2m long. 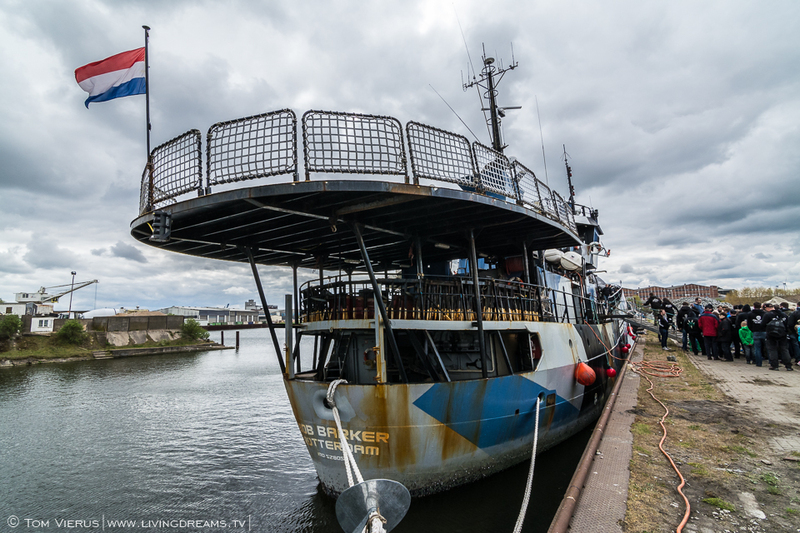 Due to its double bow it is the strongest ship of Sea Shepherds Fleet and has been part of many of the most spectacular sea shepherd actions like the recent record breaking 110 day pursuit of the illegal fishing vessel Thunder. 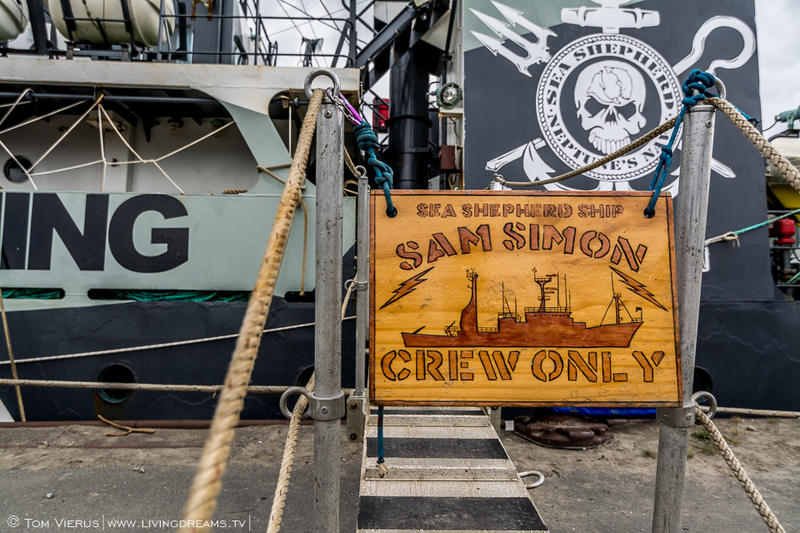 The chase ended with the sinking of the Thunder and the crew being brought aboard the Sam Simon and later handed over to Interpol alongside the collected proof material like nets. 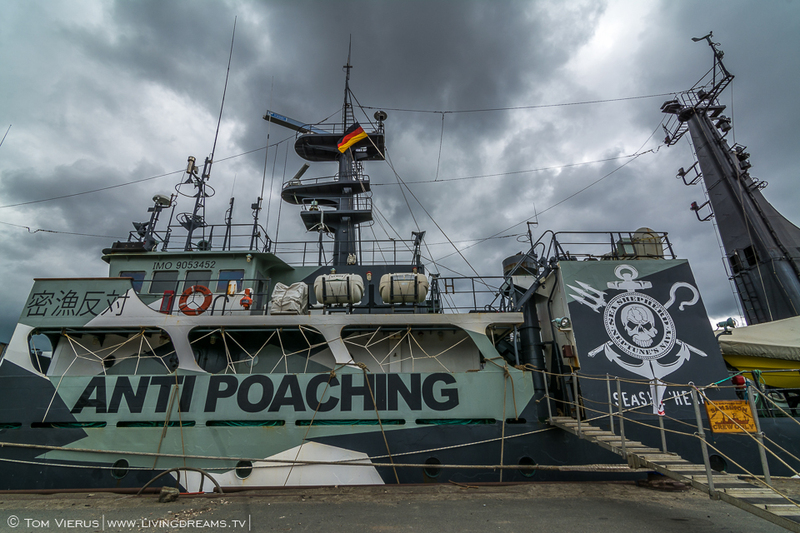 Originally it was a part of Norwegian´s whaling fleet and registered as Pol XIV and was added to Sea Shepherd´s fleet in 2009 after being refitted in Togo. 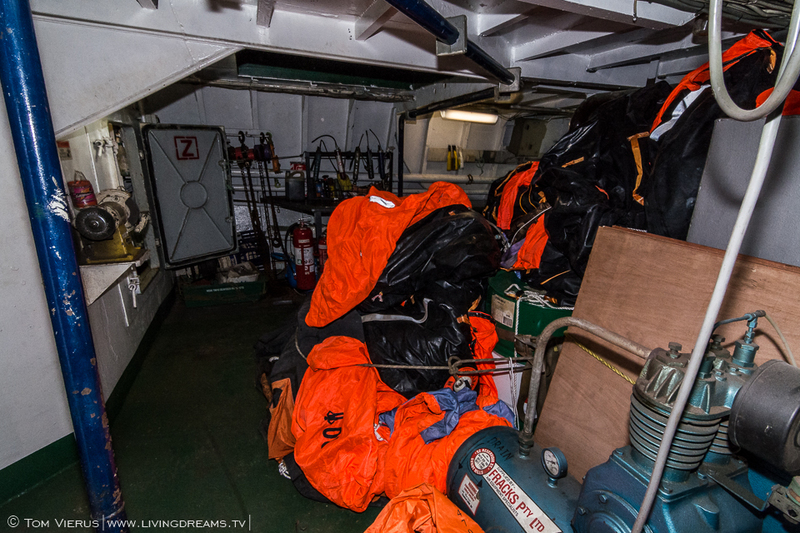 Parts of the evidence of the Thunder retrieved during Operation Icefish and still to be handed over to INTERPOL. 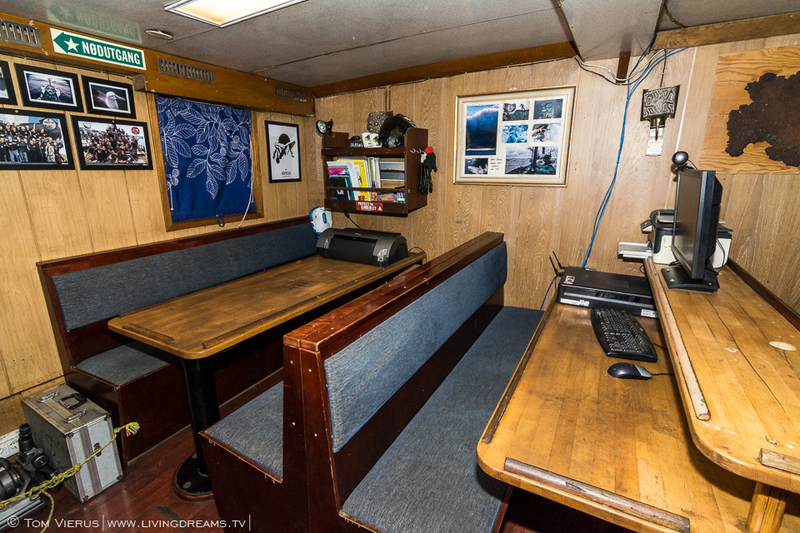 Part of the living area of the MV Bob Barker. 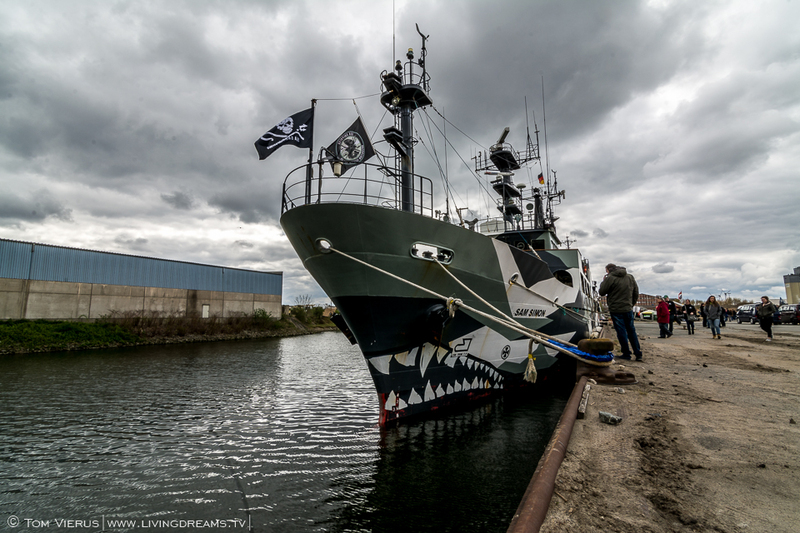 Sea Shepherd currently owns four vessels, the MV Steve Irwin, the MV Bob Barker, the MV Sam Simon and the MV Brigitte Bardot, as well as a helicopter named The Nancy Burnet and several smaller boats. The fast trimaran Ady Gil, which broke the world record as the fastest around the world sailing boat sunk on 8th January 2010 in the Southern Ocean after being rammed by the Shonan Maru Nr 2, one of the harpooning boats of Japans whaling fleet. Several other boats have been part of Sea Shepherds fleet too but were damaged and too expensive to repair. To read more about the ships click here. 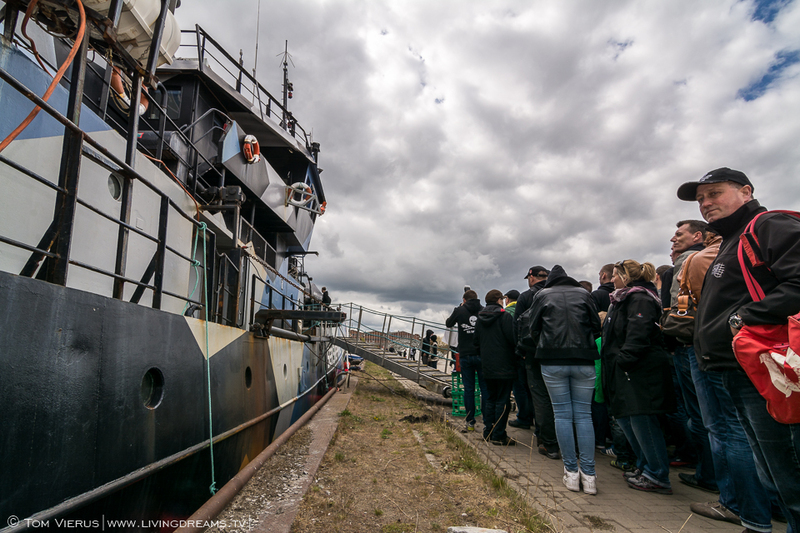 A few hundred curious supporters gathered this Friday to take a look at the MV Bob Barker. A great sight to see so many people supporting Sea Shepherd and their interventions with illegal fishing activities all around the world. 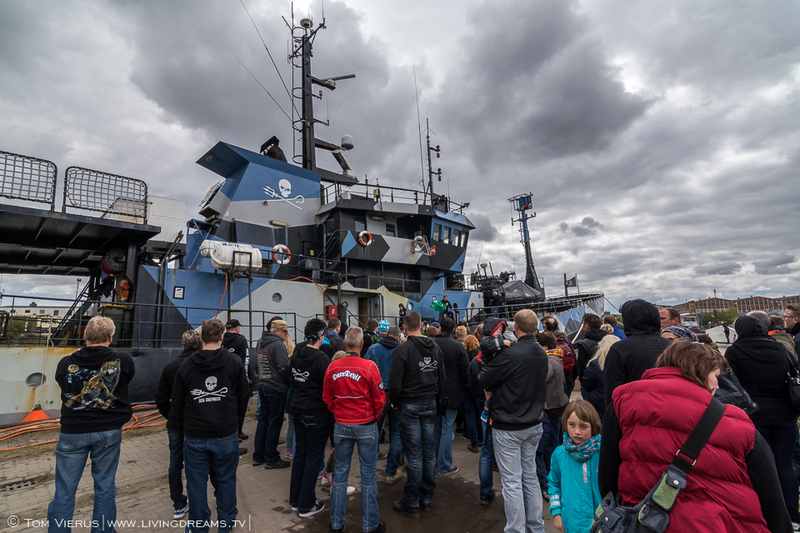 Be a part of a global movement and support Sea Shepherd!